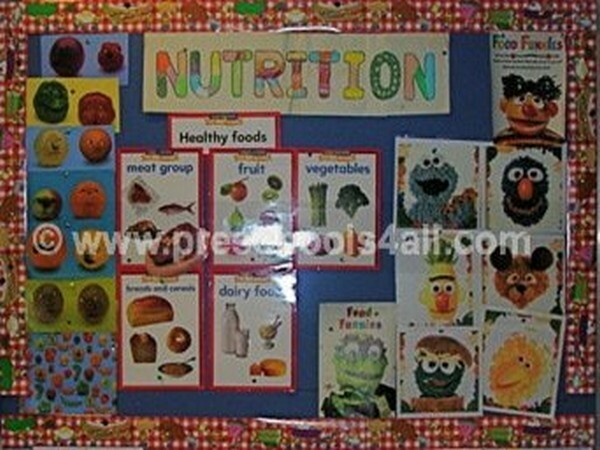 November bulletin boards focus on the theme of my body and nutrition. 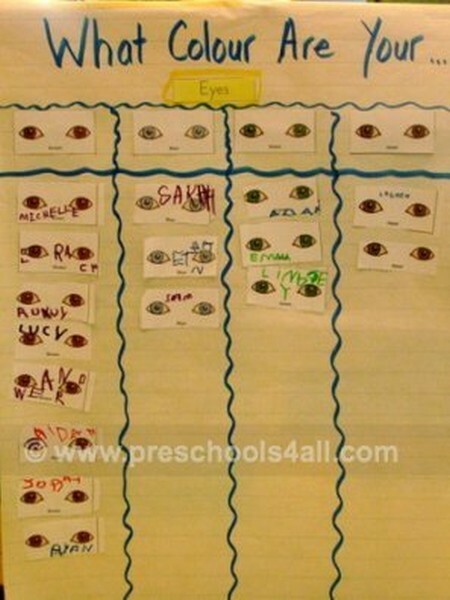 The main idea about this theme is to teach children that we are all similar and different at the same time. It is by embracing the combination of the two that we can make the world a better place. 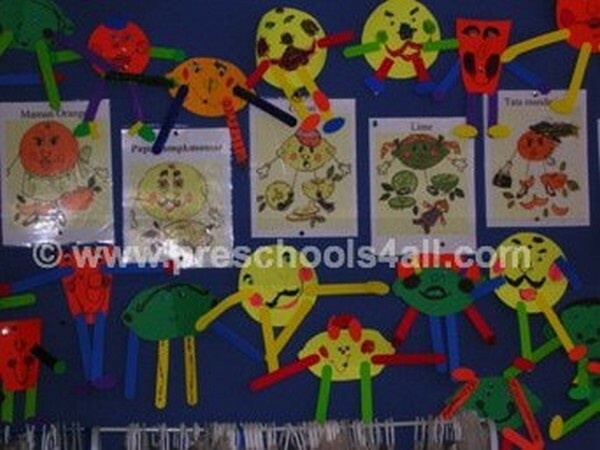 The preschool bulletin board ideas on this page were created by myself and my colleagues. 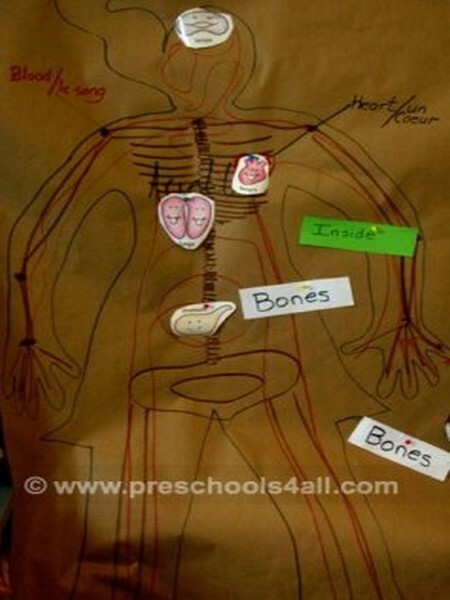 We like to provide the children with different materials and allow them to be creative. 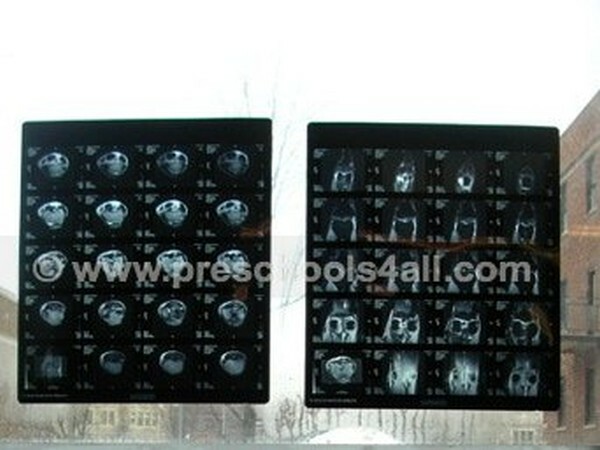 In this case they are somewhat restricted by the shape of the paper but it is necessary in order to be able to visually see a person. 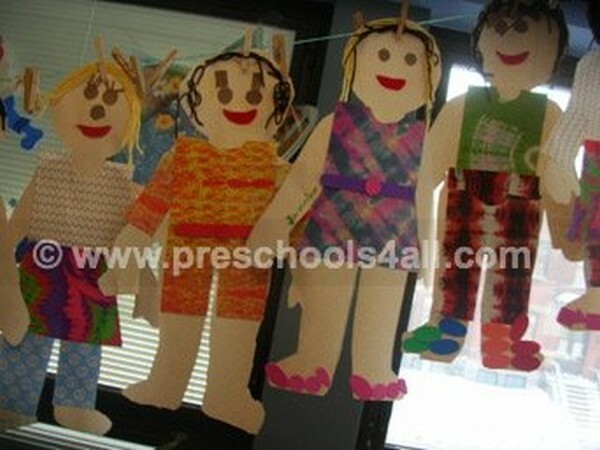 These creations of themselves hang on our classroom's clothes line all year. We refer to them from time to time and even dress them up for various occasions. What are Our Bodies Made of? This is a great way to begin and end the unit. We first brainstorm with the children to find out how much they already know (you might be surprised) at the end of the unit we refer back to this poster to confirm the children's learning. As you can see, this is also a great pre-math activity. Moving away from the self, we begin to notice that our friends might not share the same features as ours. 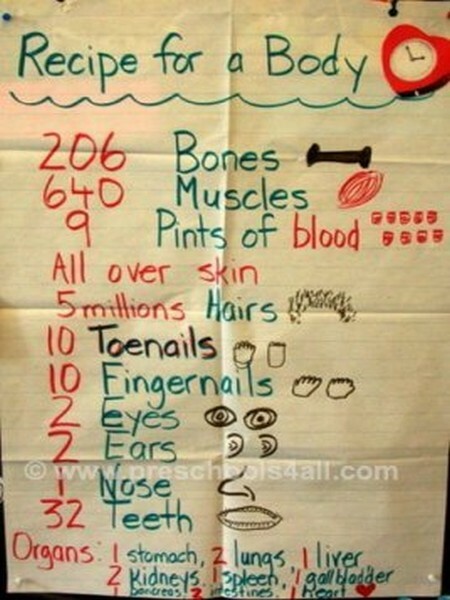 Children love seeing their bones especially if they ever had a broken arm or leg. Healthy food can be lots of fun. Have you ever read How Are You Peeling? and Food For Thought. 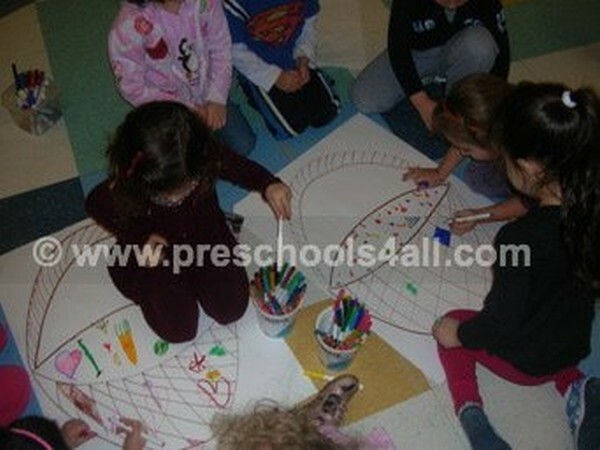 The children apply their learning by creating fruit and vegetable baskets paintings. 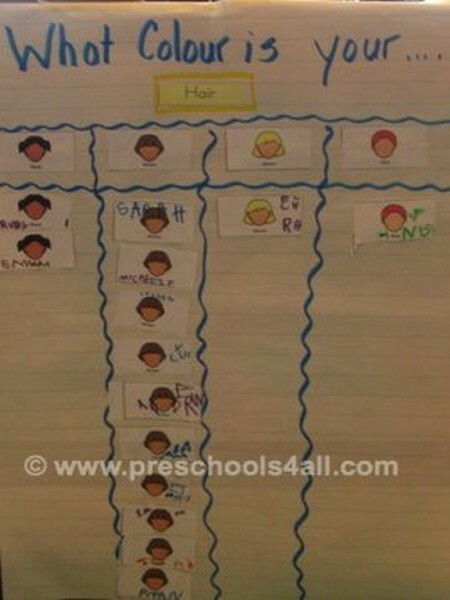 A simple way to build social skills, team work and cooperation. 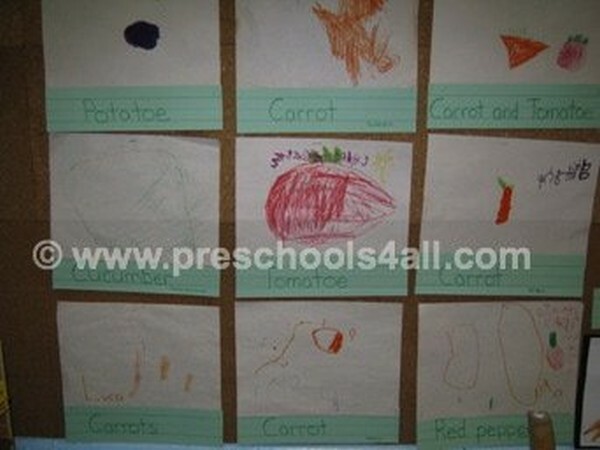 A still life drawing of the child's favorite vegetable.